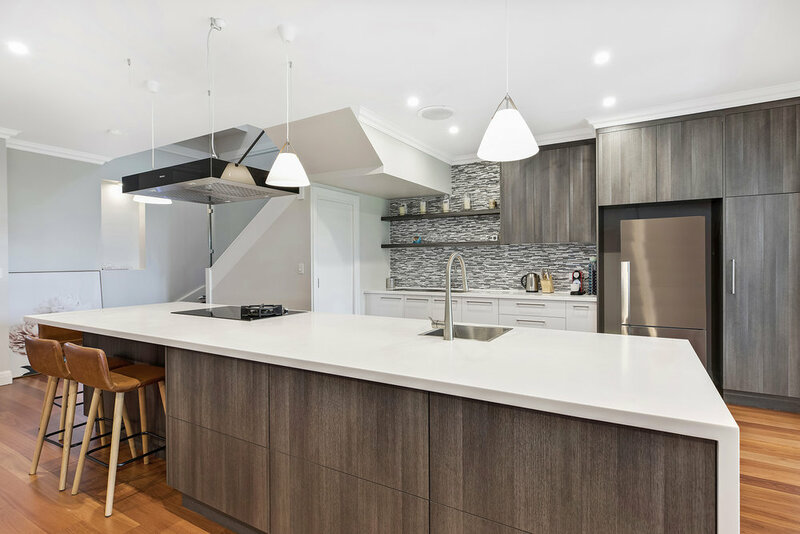 A selection of projects completed by SCF Interiors. 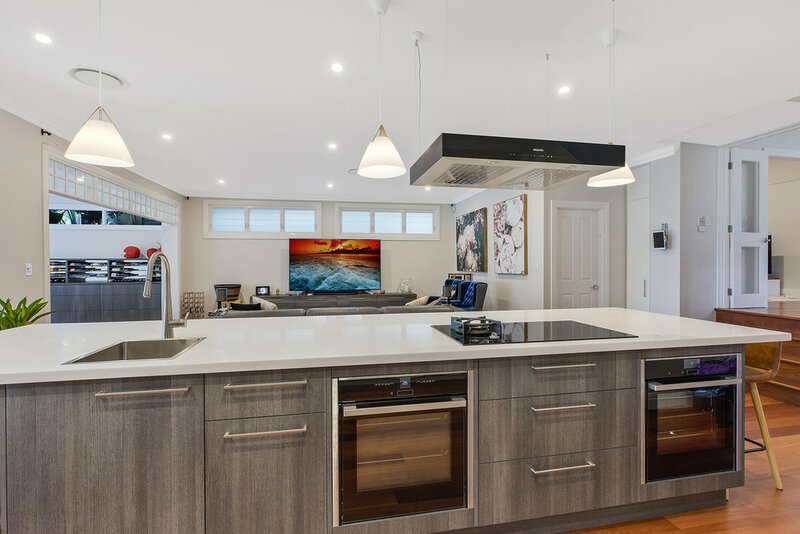 Features: A huge seamless island benchtop with waterfall end panel. The rear bench has a 10mm tile cove keeping the grout line above bench height for easy cleaning.